Winners at the North American Hairstyling Awards (NAHA) for 2019 include Julie Vriesinga, Hairstylist of the Year, and Florencia Taylor, Makeup Artist of the Year, both Canadians. 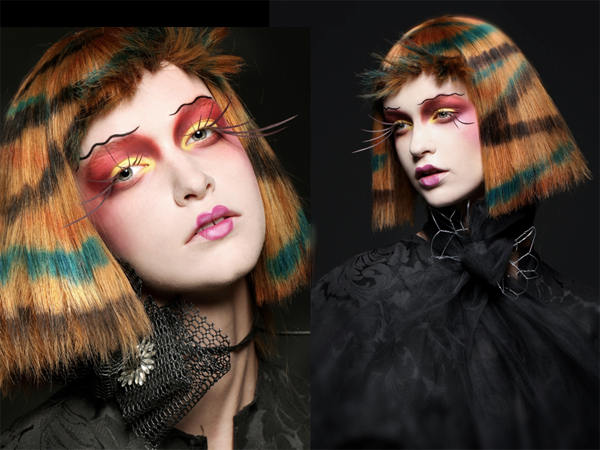 The extraordinary makeup was inspired by John Galliano and Pat McGrath, the all one length lob was shaded and painted colorifically. Winners were announced last night by the Professional Beauty Association in Long Beach, California. I especially love the creativity in the makeup! Yes, the make up is spectacular. Thanks.